Posted on 9th October 2018 at 9:42 am. being able to prepare and cooking creative dishes, while learning about culinary arts in all areas. I was interested in all aspects of cooking. 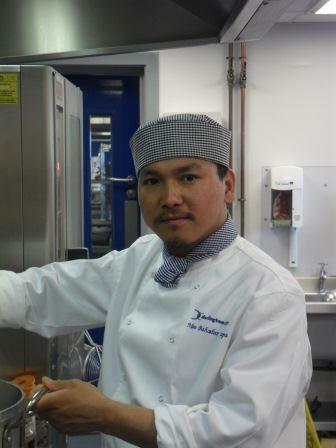 I would like to become a Head Chef in a top London hotel. I am progressing on to the Foundation Degree in Culinary Arts. It helped to prepare me to deal with the pressure of working in a kitchen as well as being involved in lots of practical aspects of cooking. To achieve in this area, it is useful working part-time in the industry whilst learning at college.